Damon Hill’s Jordan 198, chassis number 3, sits quietly now under the spotlights at the Donington Grand Prix Collection. It is a far cry from the high emotions, drama and ultimate joy of what went on in its cockpit on that wet day in Belgium in 1998 when Hill took Jordan’s maiden Formula 1 victory. 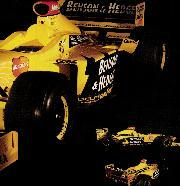 You would never imagine this striking black and yellow car, with the trademark Buzzin’ Hornet on its nose, bore witness to that truly remarkable moment near the end of that 44-lap race when Hill pushed the radio button on his steering wheel to deliver team boss Eddie Jordan an ultimatum about not being forced to race team-mate Ralf Schumacher. “Now I am going to put something to you here, and I think you better listen to this,” Hill blasted out over the team radio, speaking loudly so he could be heard over the roar of his Mugen-Honda engine. The message was clear. 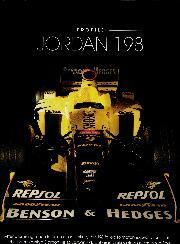 In his 13th race in the 198/3, Hill and the Jordan team finally stood on the verge of that breakthrough win. And the man in the cockpit, desperate for his first victory since his title-winning 1996 campaign, was not willing to let it slip through his fingers because of a possible collision with his closing team-mate. After all, the path that had led Hill and chassis 3 to this moment had been unpredictable and tortuous. From pre-season optimism, to despair, hard grafting and then ultimate joy, the car had seen it all in 1998. The 198 had been unveiled amid much fanfare at the Royal Albert Hall in January that year, with the predictable sound bites from a team hoping to take its maiden victory. 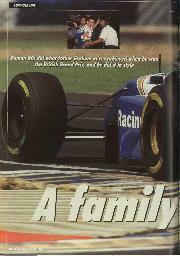 Jordan’s then technical director Gary Anderson had been in charge of the design process and had spent a great deal of effort in trying to produce a driver-friendly car. F1 was switching to grooved tyres that year, and the belief was that Hill and Schumacher’s form would be helped dramatically if they felt comfortable in the cockpit. 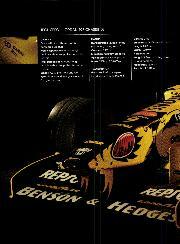 The 198 was an evolution on the concept of the previous year’s 197, with longer sidepods but mainly just detail changes. It would also continue running with Goodyear tyres, even though some of Jordan’s main rivals were switching to Bridgestone. 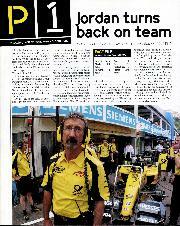 There was, too, the important factor of the switch from Peugeot to Mugen-Honda engines. Looking back, Anderson admits that the change of power-unit was not as straightforward as it seemed at the time – especially because of the timeframe involved and a certain amount of language difficulties. 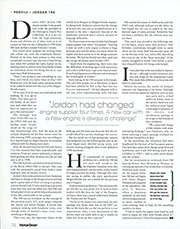 “In the previous seven years Jordan had changed engine supplier four times,” he explains. “Starting a new car with a new engine is always a huge learning curve and the earlier you know about the engine and have access to it for design purposes the better. We had the Honda later than usual and did not get the details until October 1997. Early testing of the 198 had gone well, though. The car’s first proper run at Barcelona in Spain had been labelled by Hill as the ‘‘best first test I’ve ever experienced’’. He had adapted well to the car, even experimenting with left-foot braking, and the team was buoyant that the car could indeed be a serious challenger for victory. But the initial joy of that preliminary session was tempered over the following few tests as the team began more detailed set-up work, and started running alongside their rivals’ definitive 1998 machines. Hill complained of understeer problems; for a while the 198 did not seem well suited to the development Goodyear tyres that were being produced, and the reality of their switch of engine partners hit home. Although they were not saying in public, the early specification Mugen-Honda was not a match for the previous year’s Peugeot. Anderson takes up the story: “Aerodynamically we felt the car was good, but in back-to-back studies with the data we had of the Peugeot, we knew there was a power differential between the Honda and the Peugeot. Hill started the season in Melbourne with the 198/3 and, although perhaps not the debut he had hoped for, his run to eighth in the race showed signs of some promise. Reliability had not been a problem, but the ultimate pace was not there. That much was proved in the following race at Interlagos, where team boss Jordan’s 50th birthday celebrations brought little to smile about on the track. Ralf Schumacher spun off on the first lap of the race, while Hill, describing the event as one of the ‘‘least enjoyable’’ of his career, struggled to finish 10th before a post-race disqualification for being underweight. It was clear that work was needed to improve the car – although revised Goodyears and new side wings for the Argentinian Grand Prix made little difference as the points still failed to materialise. Behind the scenes, the reality of Jordan’s situation was beginning to hit home. Although minor revisions appeared regularly, such as new aero parts and a revised airbox at Imola, back at the factory Anderson and his technical team began a thorough evaluation of the chassis and aerodynamic package to try to get to the bottom of their problems. “We researched things a little deeper, with some interesting findings,” says Anderson, who set about planning a major package overhaul for the British Grand Prix in July. In the meantime, the wheelbase had been lengthened for the start of the European season. This had been achieved by fitting swept-forward wishbones, and it left Hill feeling much more confident in 198/3 – able to push much deeper into the corners. 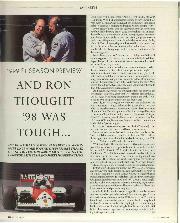 But the inconsistencies continued, from Hill lapping slower than Minardi at Monaco to running second just a few weeks later in Canada.Anderson took action on the engine front, too. He was not happy with where Mugen-Honda stood compared to the opposition. And prior to Monaco, where a disastrous weekend on the back of more disappointment at Spain resulted in crisis meetings back at base, he felt something needed to be done. 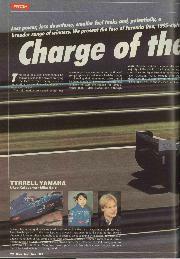 The Anderson Japan trip did not tell the full story of the fight to make 198 competitive, though. Anderson was devoted with a passion to turning it into a winner, but found himself fighting against management factions at Jordan who were looking for a scapegoat for the season’s failures. Anderson’s trip to Japan, for example, was against management wishes, because of their fears that it would upset Honda bosses. The fact that Anderson needed to fight his corner hurt. This was the man who had been there from Jordan’s first step in F1, had helped them on the path to the front and was now being doubted by those above him. Yes, the team may have failed to score any points until the British Grand Prix, but Anderson felt he deserved to be backed a little more than he had been. And although the much heralded aero and engine improvements at Silverstone yielded the team’s first point of the year, when Ralf Schumacher took sixth from the back of the grid (having failed the FIA cockpit exit time in the revised car and thereby losing his qualifying time), Anderson had already decided several weeks before that this would be his last race with the team. But while he turned his back, an upswing in form for the remainder of the season had been set. “The package was now able to be developed and the drivers understood it better,” says Anderson of the state in which he left the team and the car. At Hockenheim the 198/3 finally took its own first points of the year. Another major step from Mugen-Honda was much welcome, and the 198 was always better in low-downforce specification than in high-downforce trim. Hill finished fourth, only 7.1 seconds behind the winner. An increasingly buoyant Jordan, now being led on the technical front by Mike Gascoyne following Anderson’s departure, briefly considered an even longer wheelbase version of the car prior to the Hungarian Grand Prix, but this was abandoned because it made the turn-in to corners poor. Hill’s fourth place at the high-downforce Hungaroring was encouraging and better was to come at Spa-Francorchamps. Hill put his 198/3 third on the grid, finally feeling that the car developments and engine improvements (Mugen-Honda had delivered another performance step-up for this race) had given him a car capable of fighting at the front. He stayed out of trouble at the first start, aborted after a huge pile-up on the run down to Eau Rouge, but got it perfectly right at the second start as he leapfrogged both the McLarens ahead of him to lead into the first corner. After a brief Safety Car period, called to allow the clear-up of Mika Hakkinen’s stricken car at the first corner, Hill lost the lead to Michael Schumacher. 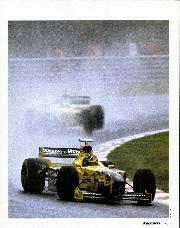 And unfortunately, with his car set up for drier conditions, he could do nothing to keep in touch with the lead Ferrari. Schumacher was able to pull up to three seconds a lap clear, but came unstuck when he hit the back of Coulthard’s McLaren in the spray – handing Hill the lead from team-mate Ralf. Having seen his lead eroded by his team-mate, in part caused by a broken wheel rim on his second set of tyres, Hill was not willing to see his chance – and Jordan’s – wiped away by a possible collision between himself and his team-mate. The request for team orders was made, and was duly accepted. Hill and Schumacher took the 1-2. Far away from Spa, the emotions were flowing hard for Anderson, too. 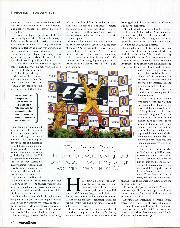 “I was sitting in my lounge with some close friends watching the race on TV. I knew the car was good, I knew it could win. Following the Spa success, the 198/3 had two more outings. Hill took sixth place with it at Monza, before a frustrating ninth place at the European Grand Prix. After that, the car returned to Jordan’s Silverstone factory where for a while it took pride of place in reception. It was loaned out to the Donington Collection in December 2002, where it has remained ever since. 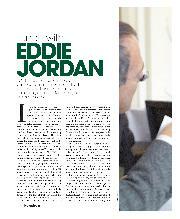 Testament to a remarkable season for Jordan, and a remarkable afternoon in the Ardennes.